Beware of travel scams of scheme and discount no one can offer discount of 50% or 75% on services. 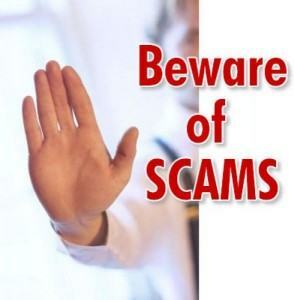 In every day to day life men and woman are tricked by Internet scams also Typically, the time when they realize it’s too late thousands even millions rupees are taken in these scams. And when it is gone people are saying “I knew it was too good to be true”. The tourism department has set the record straight starting that no service provider is expected to pay any fee upfront to be awarded a tender. Cab driver, jewelers, to the cable man, Every year and every half year every scam attempt on above 1000 people. As a tourist, we see surrounding some people asking directions or help from locals, we might also not speak the native language from where we are, so have knowledge and explore places and culture all these can make an easy target for scams.We can be safe, our money and our possessions during travel is important, but it is difficult due to scams. By an example we can understand. Like in Delhi an old women will come to you and offer you a rosemary spring. Which is known as a sign of friendship. She will grab your your hand and possibly offer you to read your fortune. Then you guessed it, she asks for payment for her services. Oh, and if you don’t pay, she starts curing you and your family – which can be a bit scary. A friendly tuk – tuk driver who will take you to a destination which you want to visit when you arrive. You will meet another friendly man, who will tell you how he buys diamonds. How he buys diamonds or gemstones from the local shop, and sells them for much more back home. The aim is to get you to buy the jewelry, diamonds or even carpets, offer being promised they will sell for a high profit when you return home.